Moments of Mommyhood: Not Quite the Brady Bunch, But Close! This morning we had our ultrasound and it looks like we are having another, healthy baby GIRL! We are very excited! I made my way here from SITS! I like what you've done with the place. Look forward to reading more in the future. stopping by from SITS! 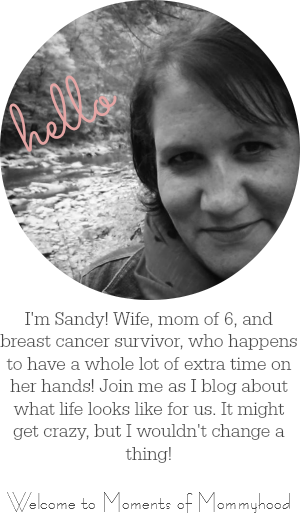 Love your blog and wow a mum to 5 and one on the way! awesome :) congrats! Stopping by from SITS! I look at the mother's of girls and think it must be fun to dress them up and dream of their weddings. Congrats! And I noticed your label... love the name Stella! Congrats!! This is very exciting!! Congrats on your Girl and on your 6th child! Woohoo!